Author Brian Ritt will appear at Mystery Ink, 8907 Warner Avenue, #135, Huntington Beach, California, on Saturday, September 14th, at 2:00. 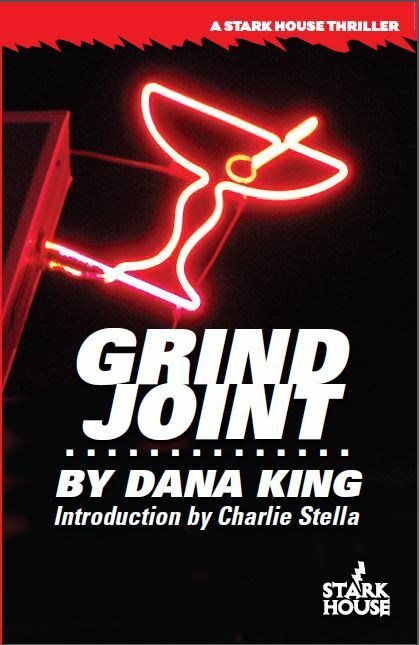 About-to-be-released Stark House Author is Dana King, a powerful new voice in crime fiction. There's more coming, but right now Dana is scheduled to appear at Bouchercon on a panel titled "Goodnight My Angel: Hard-boiled, Noir and the Reader's Love Affair with Both." This will be moderated by Pete Rozovsky on Friday, September 20th at 10:20 a.m.
Dana will also be doing an Author's Choice session the next day at 4:00 p.m., the topic to be Dana's choice (he welcomes questions). If you're not familiar with Dana, check him out at his blog here. In a few weeks, Dana, Charlie "Knucks" Stella and I will be appearing on another Book Cave podcast, so more details will follow when that's available. With great freedom comes great opportunity for mistakes. And since I write this thing, I get to screw up now and again. Hopefully not much, though, that would be a bit hard to take. Fortunately I can help make up for it by posting Brian Ritt's next appearance at the Mystery Ink bookstore in Huntington Beach, California. 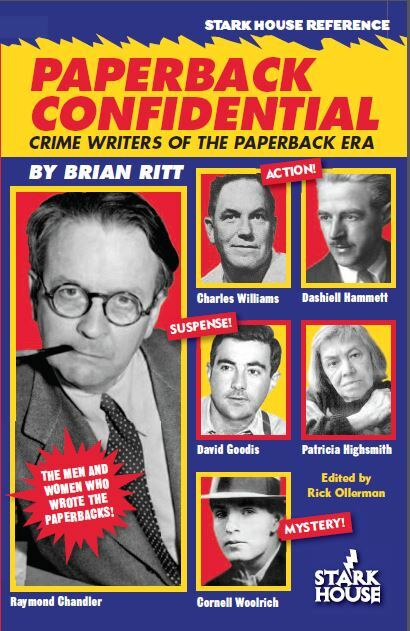 If you've already got a copy of Paperback Confidential, bring it along and get it signed. Better yet, show up without one and buy it from the fine folks at Mystery Ink. There is no dress code, but just to be sure, you could always take a look at these t-shirts and polo shirts with the officially licensed Stark House logo here. The tennis ball look is in right now, especially with the U.S. Open about to start, but if you would like another color or style, we can certainly get to work and add additional options. The t-shirt has a full-sized logo on the back cleverly hidden by the fine folks at Zazzle and only visible if you click on the image of the shirt itself. Who knew? The quality is excellent, the shirts look and feel great, and if you don't like them you can always re-gift at Christmas-time. Which is after the U.S. Open. Sorry for the quick newsletter correction, but I wanted to be sure we weren't hiding any of our author appearances from anyone. If you wish to subscribe or even unsubscribe to this newsetter, drop us an e-mail and we’ll make it happen.